There are two important bamboo events on the east coast of Australia next month. 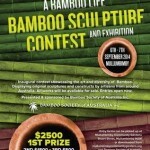 One I’ve mentioned before is the bamboo sculpture competition in the delightful northern NSW town of Mullumbimby. 6-7 September at the Mullumbimby Community Gardens. The Echo recently ran a story on the competition. Maybe I’ll see you there. 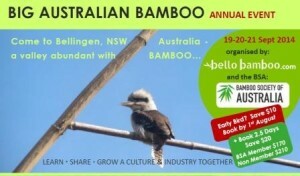 Two weeks later, in Bellingen, on the mid north coast of NSW, is the Big Australian Bamboo Annual Event. The program offers workshops, tours, and social events in beautiful Bellingen. 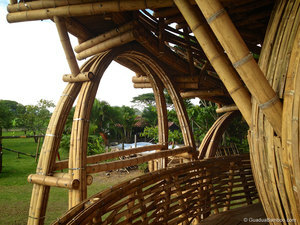 You could learn some new construction techniques, more about maintaining and propagating bamboo, and attend the social events. 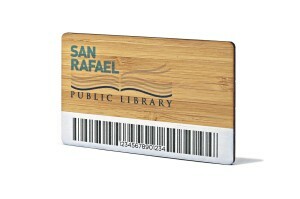 Bamboo library cards – for that extremely rare entity, the well-funded library. Although the library says they are only slightly more expensive than plastic cards. Perhaps we could all make the suggestion to our libraries and institutions that are keen to demonstrate their green credentials. 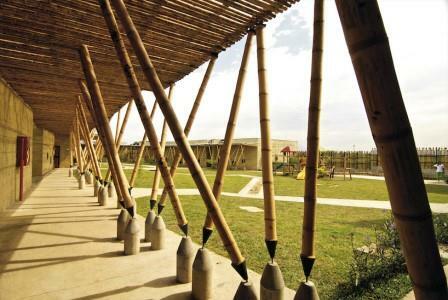 You’re probably already aware of bamboo knitting needles and bamboo crochet hooks , but what about bamboo yarn? The Craftsy blog published a post this month extolling the virtues of bamboo yarn. Amazon has a range of bamboo yarn. Some is viscose made from bamboo, and some are blends of bamboo and silk or bamboo and cotton. eBay au has quite a different range of bamboo yarn, including some bamboo-wool blends (Australian Marino, of course). If the bamboo knitting needles or crochet hooks you want on Amazon will not ship to Australia, eBay have some too. 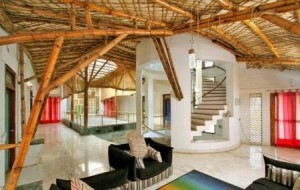 Indian architect Neelam Namjunath is a strong advocate for the use of bamboo in construction. Read more about her work and philosophy here. 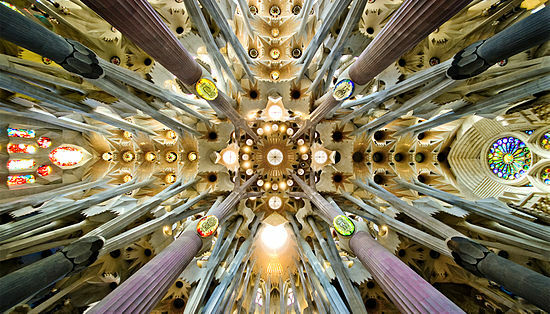 There’s more interior and exterior photos, and a walk-through video clip on the DesignBoom website. 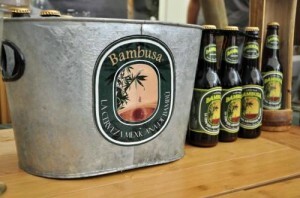 More bamboo beer: A young Mexican entrepreneur, recipient of a Chinese Ministry of Commerce scholarship, returned from his 2 months in China with the idea to brew beer from bamboo. The beer is described as “a brown Ale beer (highly fermented), refreshing, spicy, fruity and herbal final flavour, with six degrees of alcohol and a thick foam.” Read more here. 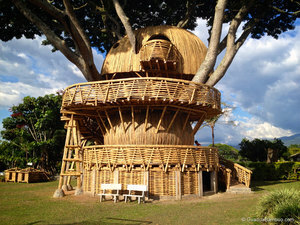 This entry was posted in All, Bamboo around the world, Bamboo on the Internet, Food, Home and Health and tagged architecture, bamboo, bamboo events, beer, Bellengin, China, Columbia, Mullumbimby on 30/08/2014 by Deb.